Ultimately in ‘The Million Dollar man’ Robbie the robot became human to all intents. Then there was Daneel who started (I think I’m right?) as the robot assistant to the detective Elijah Bailey in ‘Caves of Steel’ and ‘The naked Sun’. Since then the ‘humanised’ Robot has continued to appear under the guise of an ‘Android’. 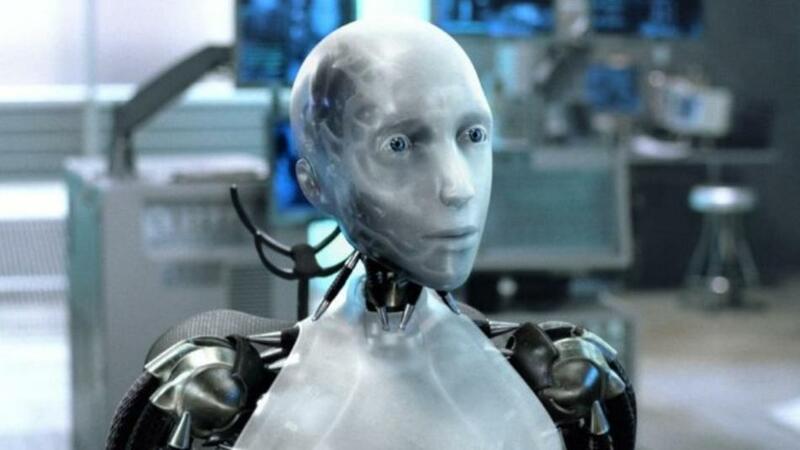 But I have a problem with Androids – why would we want our intelligent machines to look human? Surely this makes them inefficient for whatever tasks we want them to do, if nothing else? I know research such as the ASIMO project is ongoing in humanoid robots, but do we want them to look indistinguishable from humans? One of the arguments is about us relating to machines, but personally I think I would mistrust an Android more than an intelligent robot/ machine that looked nothing like a human. I know this supposes I knew it was an android, but that itself throws up a whole other batch of issues. Particularly since computers started appearing in science fiction I think intelligent machines have been less inhibited by having to appear human. Iain M Banks used this brilliantly in ‘The Culture’ with everything from artificial intelligences ranging from, what I imagined, as free flying globes the size of a football to huge independent minded space ships. The ‘intelligent’ space ship is an obvious and recurring theme, or an intelligent computor controlling a space ship – perhaps starting with HAL in ‘2001’. As for other intelligent machines, I say, why limit them to being ‘human’? Ken Macleods ‘The Night Sessions’ in an echo of Elijah Bailey, the detectives have robot sidekicks, but these are definitely not humanoid. Ultimately I think I feel more secure with intelligent machines looking like machines, or at least not mimicking humans. I always prefered R2D2 to CP3PO. I don’t think I’d have a problem relating to them. What do you think? If you’ve enjoyed this blog you might like to read the follow-up: Robots, androids and intelligent machines – what next? I have always had a problem with humanoid robots aka androids. Our bodies are really very inefficient machines, and are poorly adapted to many tasks which is why we use tools and machines. Why make intelligent machines to look like us, especially when for any task they would be superior (probably) to us flesh and blood humans. It would increase the feeling of insecurity, in me at least. AI can be built into machines to undertake more complex tasks, and they need to be efficient mechanically to do those tasks, which means they cannot look human. An android designed to undertake heavy manual work would not be able to fit the necessary mechanics into a human body and would probably look grossly overmuscled and a caricature of a human, so why do it. I’m with you John. I love the film Blade runner, but why would you build androids that look like us for tasks in deep space? Why not something specialised for the job. Previous Previous post: ‘Gor blimey gov it’s a fair cop and no mistake’ – How do we deal with dialect/accents in written fiction? Next Next post: How high could you jump on the moon?